In the middle of February, when nearly everyone else is snowed in and freezing, Arizona is often starting spring. Yesterday it hit eighty degrees, which for Arizona is spring weather as our summers hit high triple digits. This is the kind of weather that calls for a summer cocktail, no matter where you live or what month it is. When temperatures rise I find gin and tonics very refreshing so I grabbed a cucumber and a vegetable peeler and got to work. I planned to use long slices of the cucumber as a glass accent but there was a lot of leftover cucumber. To be thrifty I took the peels and pieces and threw them into my gin for extra punch, letting that infuse for a few hours. At five o'clock I grabbed the cocktail shaker, mixed up my drink and headed out on the deck to enjoy the beautiful weather. There's nothing like a cool as a cucumber gin cocktail for enjoying a surprisingly warm day in the desert. When your days starts to warm up wherever you are, keep this cocktail in mind. Slice long strips off the length of a cucumber and set 4 or 5 aside in a container in the fridge to decorate and garnish your cocktail. Chop up the rest of the cucumber , drop it in a clean jar and cover it with enough gin to make your cocktails. After 3 to 4 hours your gin will be mildly infused with cucumber and ready for making your cocktail. Just strain out the cucumber chunks and grab your bar tools. 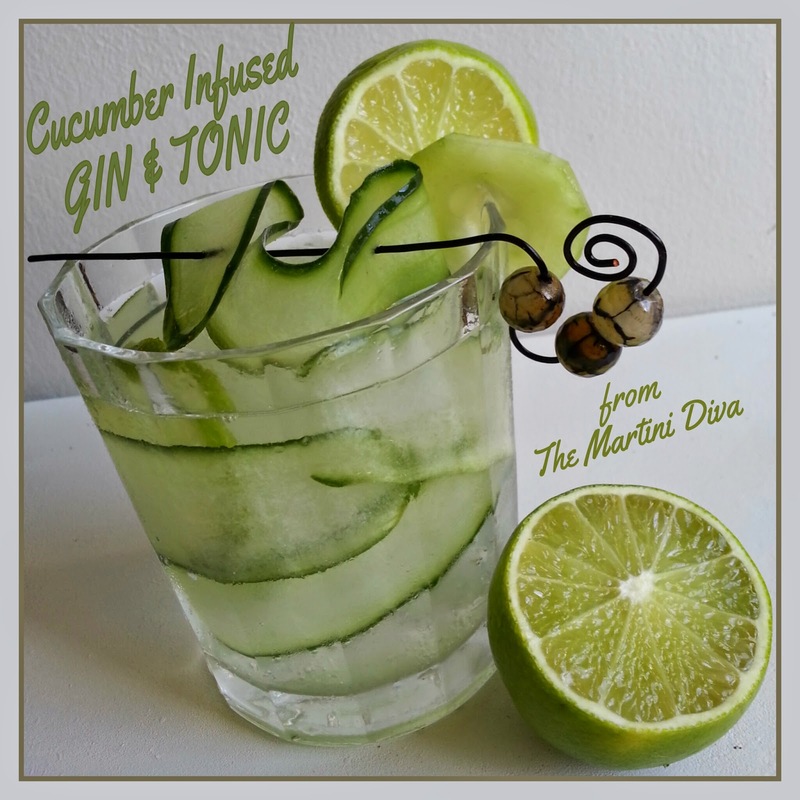 Take one of the long cucumber slices and slide it onto a cocktail pick in a wave pattern, set aside. Grab your glass and the rest of cucumber slices and press the slices against the inside of your glass from bottom to top then slide the ice sphere inside. Pour your gin over the ice sphere, top off with the tonic, add your garnish and enjoy. Bookmark this page. When the summer heat is on you're going to want to remember this drink. Cheers to the end of winter!